Your ear has more than 25,000 diminutive hair cells that help you in hearing various sound nuances. People in these professions are more likely to develop hearing lossâ€”musicians, heavy machinery workers, military personnel, fire fighters, musicians etc. Most of the hearing impaired using hearing devices improved their social relationships. Even mild hearing loss in children can affect their learning at school. Hearing loss test must be carried out on all children within 1 month of birth. Passive smoking can lead to middle ear infections. Ears exposed to loud noise of 85 db or louder than that, are more likely to get affected by hearing loss. 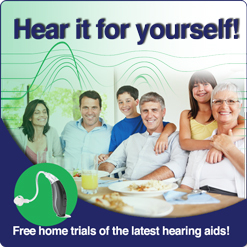 Use of hearing aids lead to improved hearing ability, self esteem, confidence and reduction in anger and frustration. Approx. 90% hearing aids are digital.